The midfielder revealed how the Pirates boss refused to hold meetings with him to discuss a potential move to Europe. Veteran midfielder Teko Modise has revealed how Orlando Pirates boss Irvin Khoza robbed him of an opportunity to play in Europe. 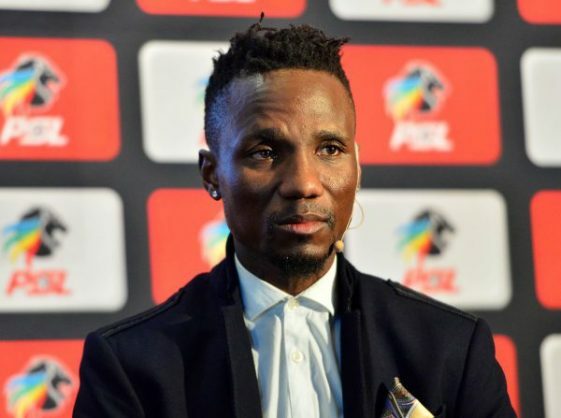 Speaking to News24 during the launch of his biography The Curse of Teko Modise, hosted by Diski Nites, Modise revealed that Khoza refused to hold meetings with him to discuss a potential move to Europe. At the time Modise was linked with a move to Premier League sides Aston Villa, Manchester City, and Wigan. “At the time I was the only local player playing regularly in the national team,” said Modise. “So I remember my Bafana Bafana team-mates saying at the time asking what I was doing still playing local football. “I went to Irvin who said to me: ‘Ja, you’re getting influence by Benni and Steven Pienaar because all of a sudden now you want to go overseas’. “The reason why I signed for Orlando Pirates is because I saw players before me going overseas so I thought that if I perform well there the chances are that I will go overseas.